It's 44 games since we've had one. Is this some kinda record ? Well it could be that, prior to Bielsa, we hardly ever got anyone in the opposition penalty area. 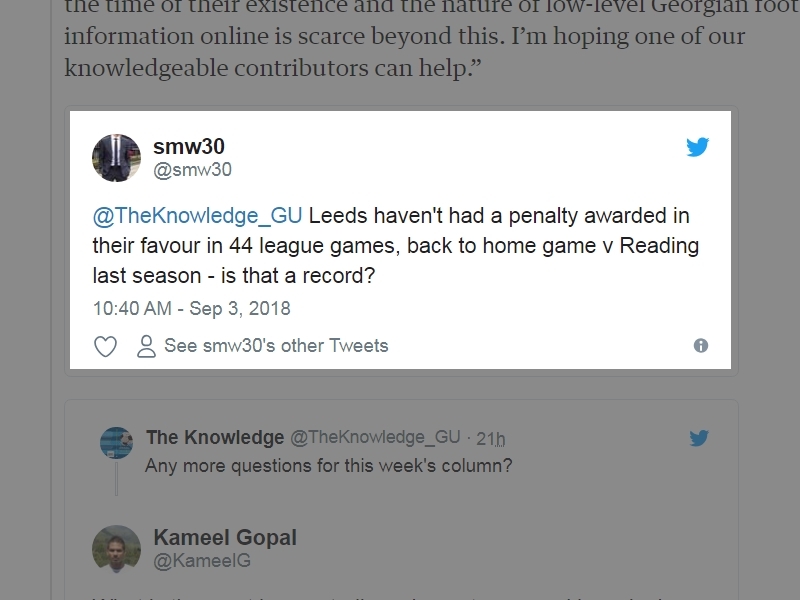 I wrote in to The Guardian's The Knowledge page yesterday, asking the question about if this run is some kind of record. The feature is run every week with readers and various experts asking and answering queries about the beautiful game and it's one of my favourite columns in the press. This morning's edition contains the question, but not from me - was it one of you on Twitter or just a coincidence ?? Nowhere near a record it would seem ! Klich to take, should we get one?